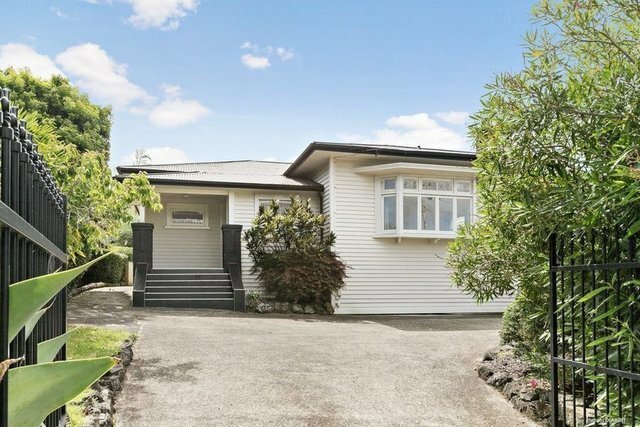 If you are looking for a beautiful classic home on a generous sunny 749 sqm section in the sought after neighbourhood off Arney Road, this one level charming bungalow is as good as it gets! Set on the high side of this tranquil northern slopes street just a moment to Parnell, Newmarket and the CBD, this immaculately presented family home has four bedrooms, two bathrooms and two living areas. Watch your children play from the very spacious kitchen and family room area with wonderful indoor/outdoor flow to the garden at the back. Entertain friends in the intimate character filled living room enjoying great expansive views situated at front. Park up to three cars behind the secured automatic gate doors. Double Grammar Zone and Victoria Primary. This is top real estate, an excellent home for your family and a great investment in this sought after suburb!